Shot in the brush, in the bogs of West Monroe, LA. 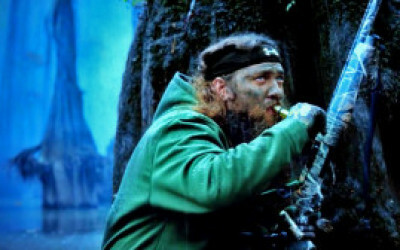 The Steadicam suspended off of a boat skims the surface of the cold water, through clouds of fog to find Willie Robertson (Duck Dynasty) in his hunting element while rain pours down. Part of a National Ad Campaign for Under Armour. This spot highlighted Cold Gear and the company’s other hunting products.